From the #1 New York Times bestselling author of the Man Booker Prize-winning novel Lincoln in the Bardo and the story collection Tenth of December, a 2013 National Book Award Finalist for Fiction. Talking candy bars, baby geniuses, disappointed mothers, castrated dogs, interned teenagers, and moral fables—all in this hilarious and heartbreaking collection from an author hailed as the heir to Kurt Vonnegut and Thomas Pynchon. 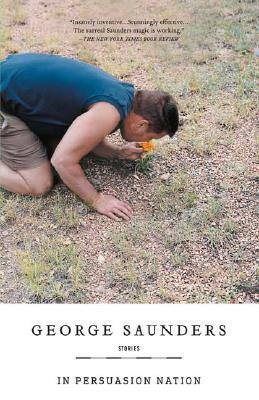 George Saunders is the Man Booker Prize-winning author of Lincoln in the Bardo; Tenth of December; In Persuasion Nation; The Brief and Frightening Reign of Phil; Pastoralia; CivilWarLand in Bad Decline; The Braindead Megaphone; and a children's book, The Very Persistent Gappers of Frip. His work appears regularly in the New Yorker, Harper's and GQ. In 2006, he was awarded a MacArthur Foundation "genius grant." In 2000, The New Yorker named him one of the "Best Writers Under 40." He is a 2013 National Book Award Finalist for Fiction. He teaches at Syracuse University.